The Golden Eagles exist in part to help assure that its members, the senior working and retired pilots of Continental and United Airlines, have full access to their hard-earned pass travel benefits. The technology that has made it possible to do everything necessary to fly as a nonrev from checking PBT’s to check-in, to boarding and flying , and even creating new travel plans when plans change without ever speaking to a reservations agent, has become an obstacle for some. A number of the older Golden Eagles members and other retirees always assumed that it would be possible for them to enjoy their pass travel benefits during their golden years. No one anticipated the total shift to technology that the marketplace has demanded. Our merger with UAL accelerated the shift to paperless flight reservations. Virtually any repetitive operation or transaction was changed to what we see today: everything one must do to satisfy requirements to travel using nonrev passes has been or will soon be automated. The reality is that unless an older retiree has kept up their computer skills, the technology-challenged retiree is not just adversely affected, but many have given up as their ability to fit the demands of automated reservations gets more and more stale. Several times each year we get a message from a retired pilot in his 70’s or 80’s asking for help to regain a skill that is so basic that many are ashamed to display their ignorance. What used to be as simple as calling a res agent to book a travel plan is now a swamp of unfamiliar skills that can effectively end the retiree’s access to his or her excellent pass travel benefits. However, access assumes that one knows how to negotiate websites and he or she understands the basics of Internet-based transactions and operations. 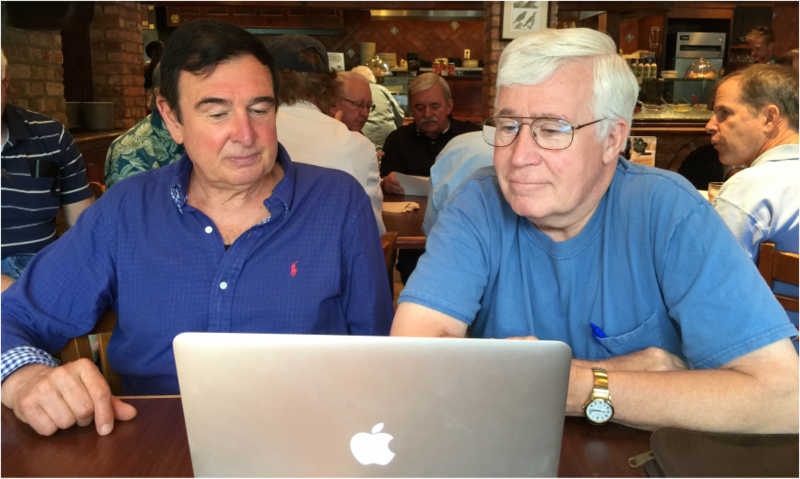 We can advise the retiree to buy a modern laptop and practice the basics often. If these basic requirements are not met, there is little that can be done. The question of how much we can do to help is really a transient need, since tomorrow’s new retirees have already embraced the technology since theirs is a world that requires automation skills that far exceed what is required to create a nonrev booking. We CAN help the relatively few technology-challenged retirees who can figure out what they need to do with some assistance on a few occasions. We can do much more when a technology-savvy Golden Eagles member volunteers to give his fellow Golden Eagles member some tutoring. The PASS PAL PROGRAM is one potential solution to this issue. When our Executive VP and email coordinator Dave Newell gets a request for help from a member, the message usually results in Dave or one of the other officers making a reasonable effort to field the request. However, what is really needed is a pool of volunteers who have the time, knowledge and teaching skills to get the technology-challenged retirees up to speed. The PASS PAL PROGRAM would depend upon several volunteers in each geographic area who would contact the technology-challenged guy or gal and respond with phone support. This volunteer work will be a perfect fit for a technology-savvy Golden Eagles member who is not interested in a serious time and energy commitment such as secretary or treasurer. A new position, PASS PAL Coordinator, would be responsible for maintaining a list of several PASS PAL Volunteers for each LAC or geographic area where we have lots of members. If we received calls from a technology-challenged retiree who lives in Tallahassee Florida, for instance, the PASS PAL Coordinator might have PASS PAL Volunteers in Tampa, Niceville and West Palm Beach to choose from. If Charlie Starr in Niceville picked up this request for help from a technology-challenged retiree, he would call or email the member and take it from there. While it really doesn’t matter where either the technology-challenged retiree or the Pass Pal resides, pairing the retiree with a pass pal may be a catalyst for starting a Local Area Chapter. If nothing else, they might have an adult beverage together after the tutoring has been completed.